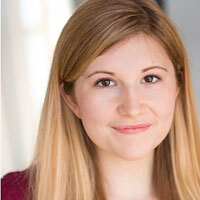 Emma Carter is a playwright, actress and teaching artist currently based in Kansas City, MO. She holds a BFA in Theatre Arts with a minor in Music from Stephens College. Emma has taught beginner drama classes with Kansas City Young Audiences since 2014. She also leads Reaching the Write Minds workshops with the Coterie Theatre. Emma is currently signed with Exposure Model and Talent, and is a year-round cast member of the Dinner Detective Kansas City. She is a member of the Midwest Dramatists, and the winner of KC's Project Playwright 2015. Her works have been produced by The Living Room Theatre, The Fishtank Theater, Project Playwright, and The Barn Players. Find copies of her work on the National New Play Network or for more information visit www.emmakcarter.com.